Induction cooktops are rapidly becoming the latest addition to the kitchen which provides you heatless environment for cooking. Unlike conventional stoves, they do not burn out your food while cooking them and retains the valuable nutrients in it. Most of them are compact in size and can accommodate anywhere easily. They are simple and safe to use with easy control methods. To know which are the best induction cooktops you can have in your kitchen, just have a look at the list given below. 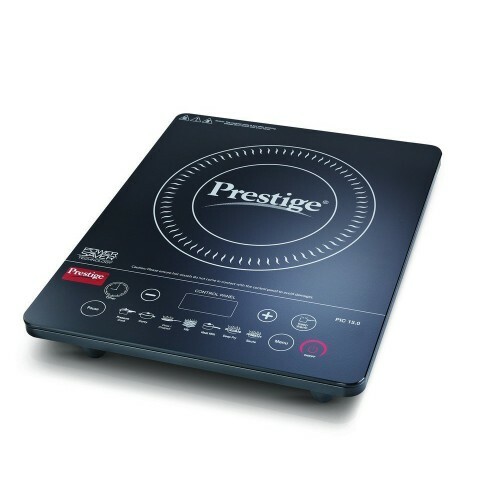 The glamorous compact design of this induction cooktop from prestige will surely be a stylish addition to your kitchen. Operating the cooktop is incredibly easy with its concealed feather touch buttons. It is energy efficient and consumes less power for cooking which means it cuts down your electricity bill. The cooktop has some preset menu buttons which you can set while cooking the dishes. The preset time duration will help in preparing your food without any hassle so that you don’t have to change the temperature setting repeatedly. The cooktop has an inbuilt voltage regulator which helps in regulating the voltage automatically and does not need any external regulation unit. The induction cooktop gives apt protection against insects and maintains hygiene of the appliance. 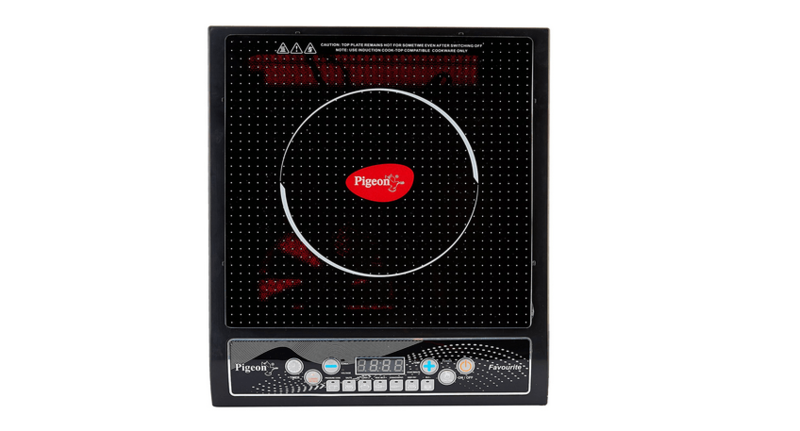 As the cooktop adjusts the power level on the basis of the diameter of the vessel, there are lesser chances of spillage, thereby helps in maintaining the cleanliness of device. This induction cooktop from the house Pigeon is one of the finest appliances that you can have for your kitchen. Cook delicious food on this cooktop with its 7 Indian preset menu setting that will make your cooking effortless. It consumes less power and provides appropriate heat that can cook food properly. 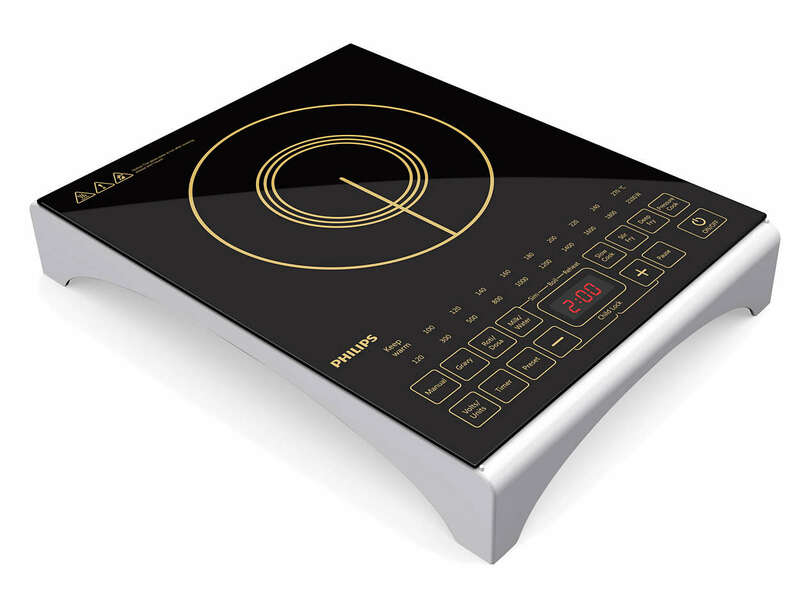 The induction cooktop is incredibly user-friendly as it comprises feather touch buttons and an inbuilt indicator that displays the temperature. The design is compact which makes it easy to accommodate it anywhere. It is also light in weight which makes its portability hassle free. 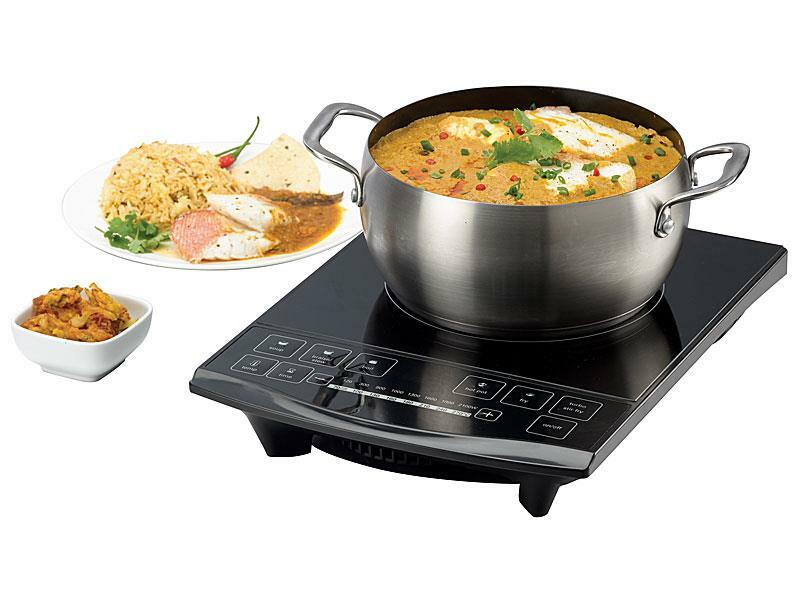 The cooktop can be used for cooking solid food and boiling liquid up to 10 liters at a time. It cooks in faster way thereby saving your precious time that is consumed for cooking. All you need is induction friendly utensils that have a base diameter of 200mm; you can easily prepare any dish as per your desire. This induction cooktop from Philips is an attractive package that will not only efficiently cook your food but will beautify your kitchen too. It has a sleek and sturdy glass panel that not only looks good but can do the cooking quickly also, thanks to the electromagnetic induction technology used by it. 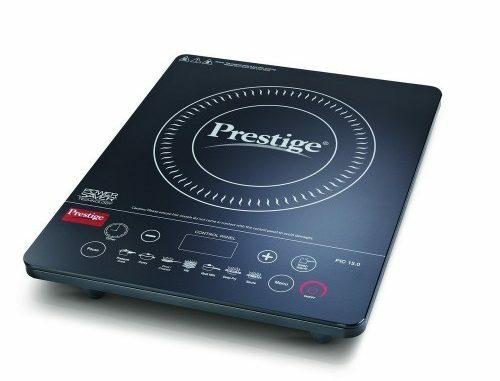 The induction cooktop has 10 preset menus which allow you to cook different types of dishes without recurrent temperature adjustment. Unlike regular gas stoves, it does not burn out the valuable nutrients from the food. Instead, it helps in retaining them by catering healthy cooking. The design is user-friendly and has sensor buttons which make operating the device incredibly easy. The glass top not only gives the product a premium feel but also makes it easy for cleaning the cooktop. 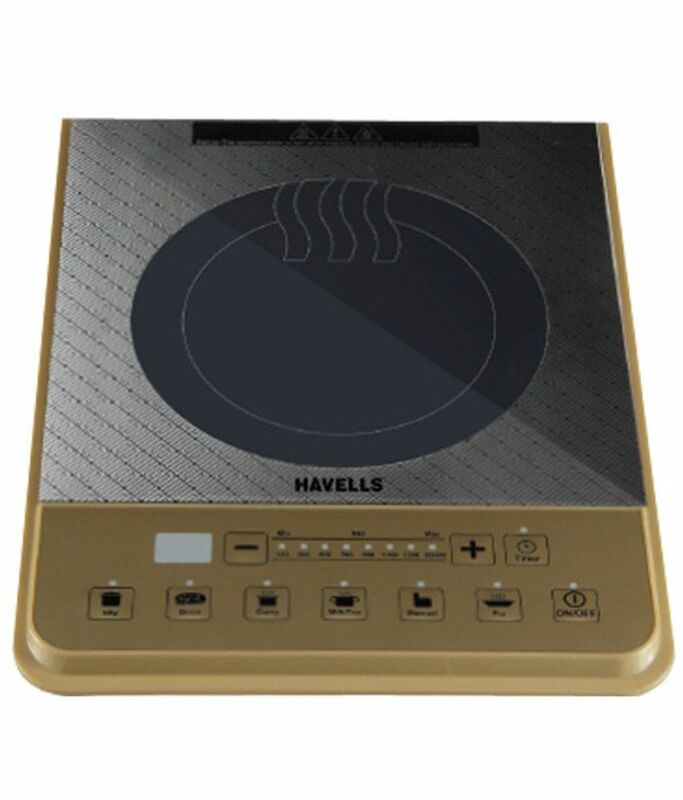 Havells is popularly known for making energy-efficient electrical products, and its cooktop is equally good like the rest of them. The appliance comes in a golden beige color which entirely different than the rest of the induction cooktops. It has 6 different types of cooking function for cooking different kinds of dishes. The digital LED display makes it easy to operate the cooktop and set the temperature according to your requirement. There is no need to panic if you forget to remove the vessel or switch off the cooktop. It has got an auto power cut off feature that will shut off the appliance automatically when the cooking is done. To perform in a better way the device is equipped with copper wire coiling. 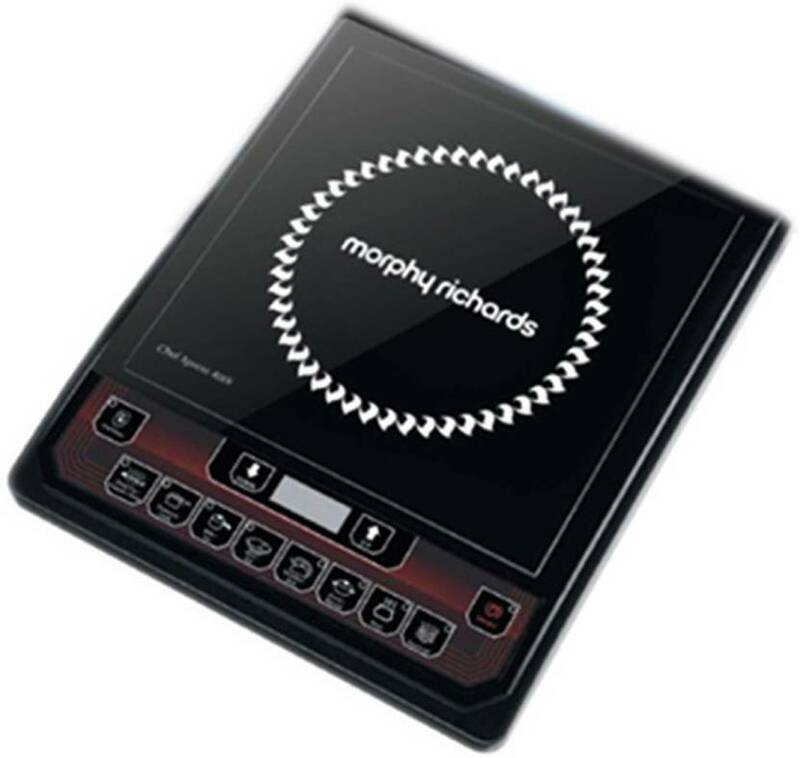 Morphy Richards is best known for making quality home appliances products and its cooktops live up to the mark. The Morphy Richards Chef Xpress 400i induction cooker lets you enjoy hassle-free cooking without the worry of running out of gas or excessive consumption of electricity. It has got 7 power levels which you can set according to the dish you are cooking with 7 different temperature setting. You can just set the time and leave the kitchen as it shuts down automatically once the cooking is done. The 3 digit LED display shows you the power level, the mode selected and the temperature of the cooktop. It is energy efficient as well and consumes less power for operating. If you have a hobby of cooking but don’t like the hassle of flames or gas cylinder refills, then these induction cooktops are the perfect appliance for you. They allow you to cook the food in hassle free way with great leisure due to its preset temperature controlling system. They not only prepare your food in trouble-free manner but also lock in their nutritious value also. Hence if you are looking for the best induction cooktops for your home, then you can take one from the list given above.